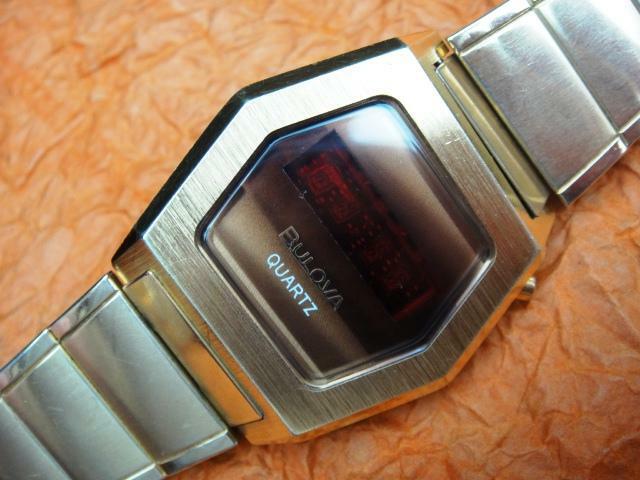 The "Hex" is a highly reliable LED product of Bulova USA released only 2 years before the company was sold to Loews Corporation in 1978. 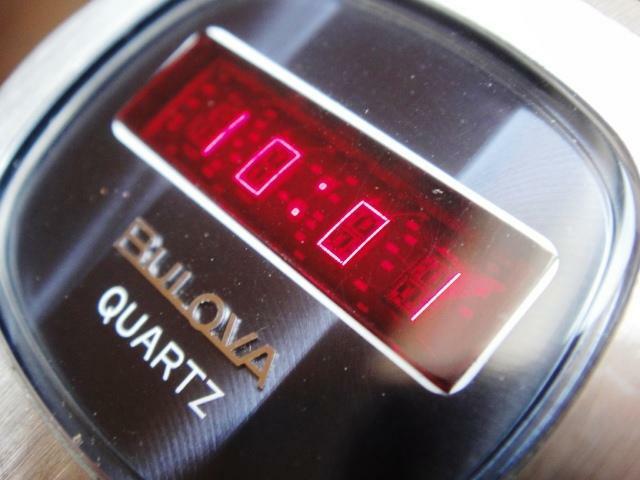 It is probably the very best LED watch money can buy with an excellent quality-to-price factor. 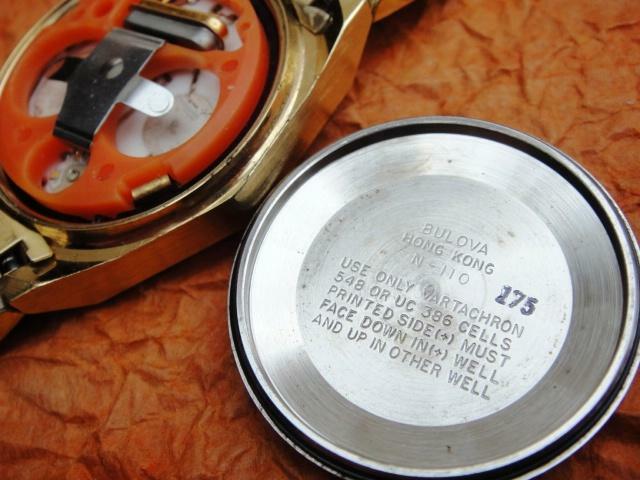 The case with N6 production code was made in Hong Kong as many producers moved their production sites of middle-class watches to Asia after the early stage of producing high quality but expensive watches in the USA and Switzerland. The module is a late bar/segment type however you can still see small dots on this piece. The clear module is perfectly organized... almost sterile and was produced by Mostek in Malaysia. Unlike most Bulova modules it has a silicone covered display that last longer than modules with loose wirebonds on the diodes. The interesting idea behind this watch is that is doesn't have a typical red crystal on top. Instead a nicely brushed dial with applied logo has been fitted under a transparent plastic glass. This might have been caused perhaps by the idea to start using LCD modules instead of LED. 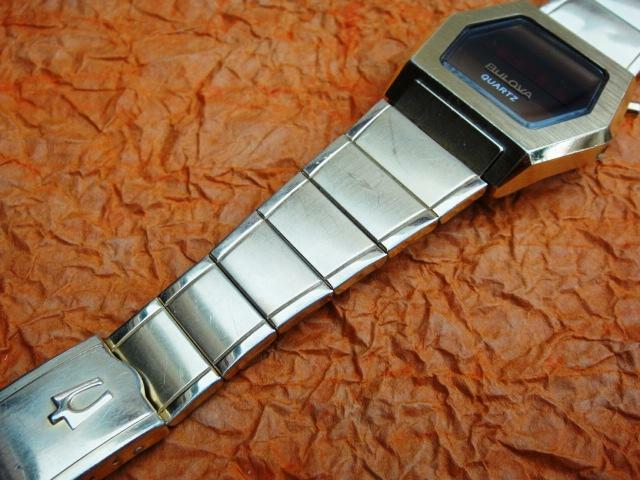 (Some watches of the late 1970's can be found with both types although externally they look alike). The red display filter has been combined with a substrate carrier that also serves as spacer that keeps the electronics board in position within the case. The plastic top with battery clip serves only to position batteries in place. 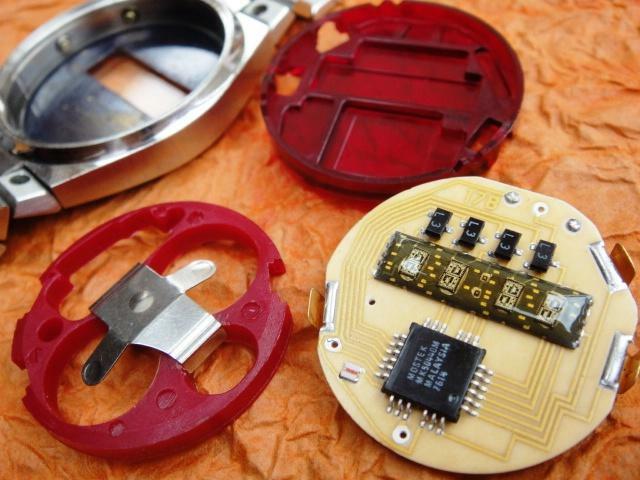 The clip might be missing and its function is to connect both battery terminals with the caseback to close the circuit. 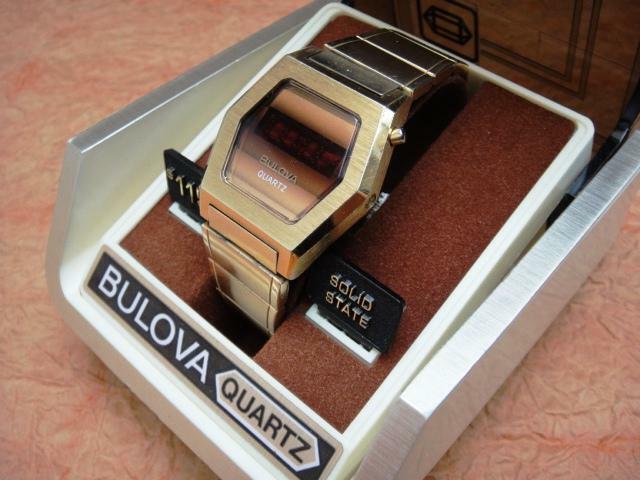 The same module can be found in other Bulova designs as well as different brands including some cool Imado.